Kilkenny County Council, From 9am to 1pm & 2pm to 5pm County Buildings, Monday to Friday (Except Public Holidays) John Street, Kilkenny City. Callan Area Office, Monday to Friday (Except Public Holidays) Prologue, Callan Co. Kilkenny. Submissions or observations with respect to the proposed development dealing with the proper planning and development of the area in which the development will be carried out may be made online on this website or in writing to the undersigned. The latest date for receipt of comments on the above scheme is 20th March 2017. 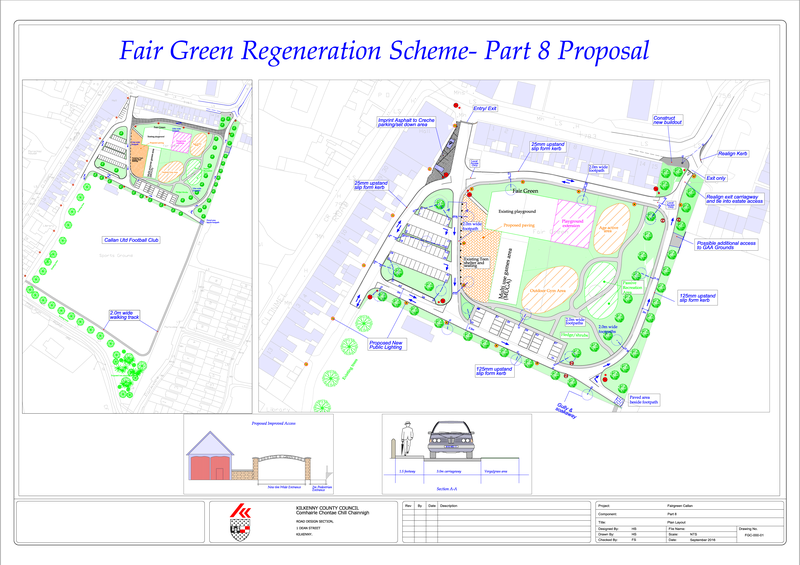 Submissions should be clearly marked Fair Green Regeneration Project.